Just wanted to let you know that we’ve posted the Photo Gallery on Facebook HERE so head on over and tag yourself, and make sure to leave a note on our Facebook about what your favorite winery of the night was and what you wound up taking home! Someone managed to beat us to that last bottle of SYZYGY Saros!! THIS EVENT HAS ALREADY HAPPENED. With 25 Washington wineries featuring their new “exotic” varietals, such as Mourvedre, Cinsault, Malbec, Sangiovese, Petit Verdot, Tempranillo, Cabernet Franc, Roussanne, Viognier and Albarino as well as some interesting blends, guest will be treated to the ever growing array of unique wines from around the State. Teatro Zinzanni artists will be on hand to mingle and entertain guests to a few random “exotic” performances from their current show, “Dinner at Waton’s”. Some culinary treats will also be provided from the TZ Kitchen. This festival of the exotic will be the perfect way to celebrate the last day of Winter in Seattle! Proceeds benefit ZICA- ZinZanni Institute for Circus Arts. see photos from 2012 event. Passport to Sip has revolutionized wine tasting in the Pacific Northwest. Created by award winning beverage publication, Sip Northwest Magazine, the Passport provides a fun and cost-effective way to explore the booming wine regions of the Northwest. 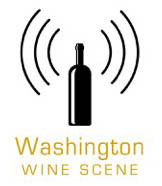 Retailed for only $39.99, Passport to Sip waives a winery tasting fee to over 200 partnering wineries in Washington, Oregon, Idaho and British Columbia, valued at more than $1,000! The Passport is an actual book; listing wineries by region so you will get to see at the end of the year all the fun you had! As a Seattle Uncorked Member; you can purchase the passport at an exclusive price of $31.99 (a 20% savings over the retail price). Order online at www.passport2sip.com. When you get to check out; enter WINEWORLD in the add coupon box. And look for fun Seattle Uncorked Members Tasting Outing for Passport to Sip holders in the near future!!! !